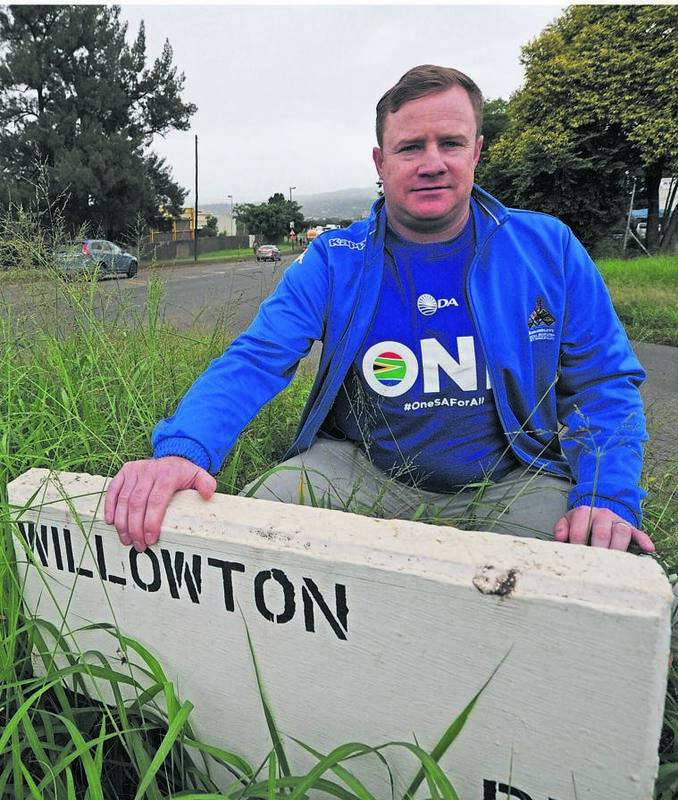 DA ward councillor Ross Strachan points out the dangerous uncut verge on the corner of Ohrtmann and Willowton Road. Uncut verges, overgrown sidewalks and unmaintained grounds around the city have some locals concerned over possible traffic risks and damage to infrastructure. 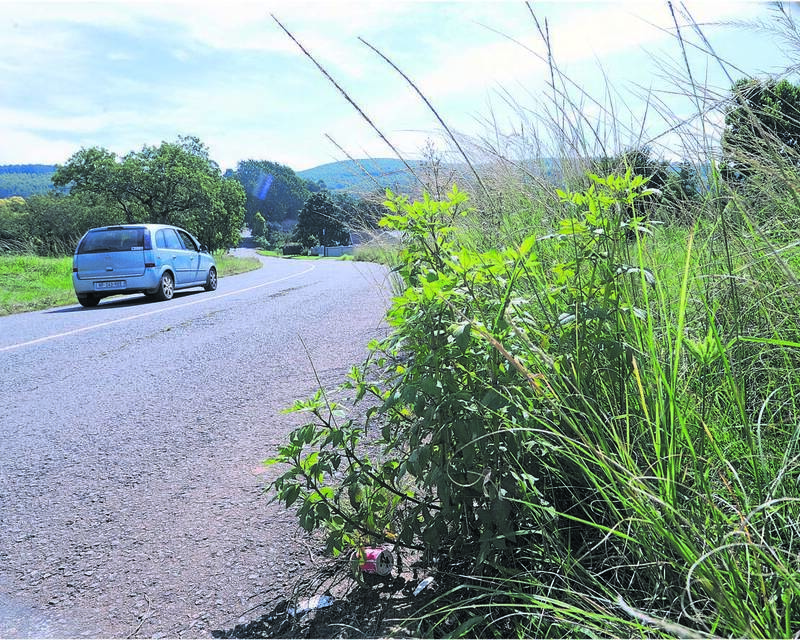 Reports of overgrown traffic islands and verges are especially of concern as locals have said they struggle to see oncoming traffic in some roads in the city that are usually very busy, such as Ohrtmann Road and Willowton Road. A man working in the Ohrtmann Road area said crossing Willowton Road to get to Ohrtmann Road had become “very dangerous” as oncoming traffic cannot be seen due to the length of the grass on the verge and traffic island. He said the grass was waist-high. Prestbury councillor Ross Strachan said following reports of overgrown verges, he decided to walk from the Napierville area to the Mayor’s Walk sports ground. 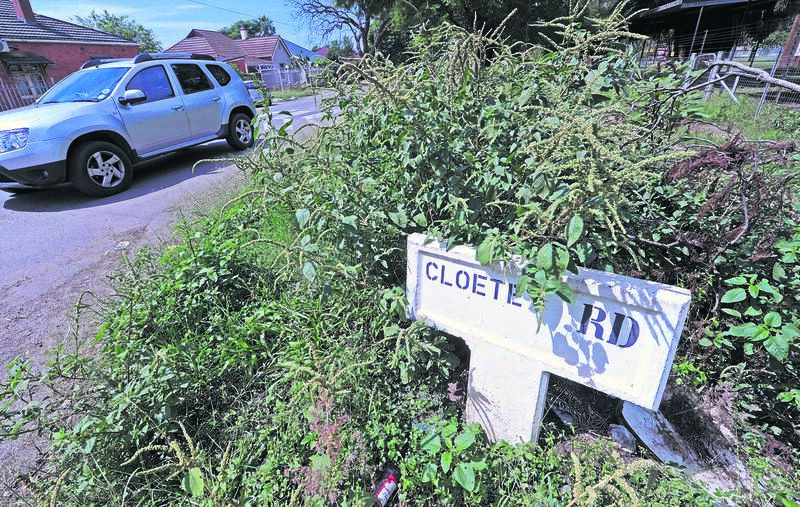 Locals have taken to The Witness Face­book page over their issues with overgrown areas. Nadine Franzsen posted that behind her home in Epworth Road, “the whole river area is now a jungle”. “Residents started cutting away grass and weeds on the sidewalks, but the river area will need an army to clear it”. The corner of Cloete and Pine Street. Kate Watts posted: “It would be easier to ask if there are any areas that are actually properly maintained. Zwartkop Road, up Sweetwaters Road, behind the Prestbury police station, any pavement in the CBD, filth, weeds, blocked drains, missing covers, dug-up pavements”. Terrayfia Moodley posted: “In front of our house in Firwood Road, its a jungle. Driving out our driveway most nights are scary and it’s even become a toilet for some, and a dump site every now and again. “We have taken the initiative to cut it down just for our safety, however, there is only so much we can do,” she commented. Msunduzi municipal spokesperson Thobeka Mafumbatha said there is a grass-cutting programme to clear backlogs. “We also need to be mindful of the fact that Pietermaritzburg has a sub- tropical climate coupled with high rainfall. The growth of vegetation and grass is prolific,” she said.